Today’s card was inspired by the hoopla lately about April and her new little one! 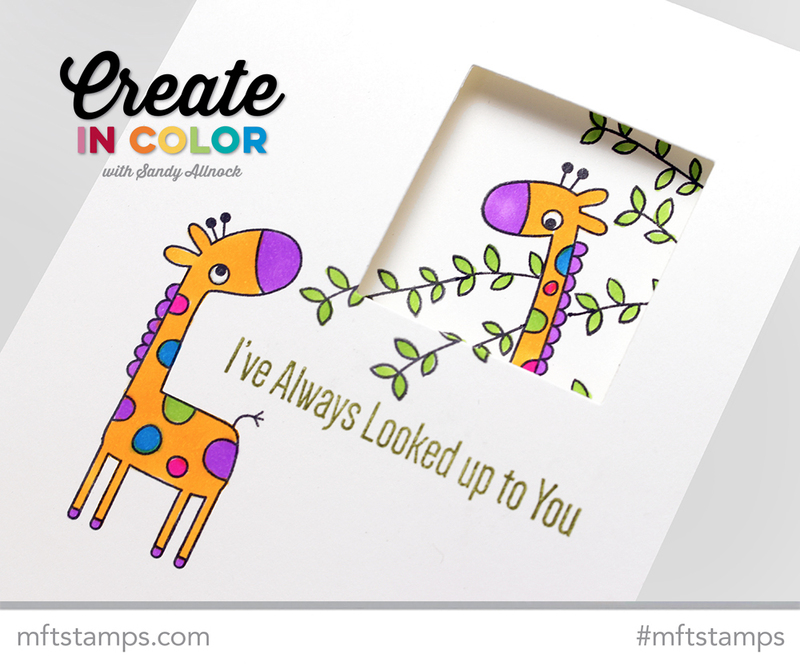 You can keep up with the mama and baby HERE – so I made a card with a mama and baby giraffe with some fancy stamping – but really easy coloring. Go see the full post and video over at the MFT blog! I love this card , but what I really like is the fact you talk about simple coloring. I am very new to card making. Sometimes it becomes overwhelming. So cute! Thank you for another out standing video! SO MUCH FUN!! I have aquestion …you mention an elephant in your post but I didn’t see any…where is the elephant?? This is just darling Sandy, I ♥ it! Such a cute card! I had missed the video about the new giraffe baby. I was completely captivated–So amazing! Lovely card, thank you for the tip on the leaves spilling out. So cute. Perfect for Mother’s Day. I watched it at the MFT blog this morning. So cute!